Species~ very rare species, last of her kind of species though the name is unknown now, the name faded away with the extinctions. Though anyone who were to meet her would know what she is. History~ Nebula was born oddly as a litter of one, her mother and father cherished her and named her Nebula, she was smaller than most, but one day she went to go on a hunting lesson and her parents were shot and killed instantly, as for her, she was wounded she hid and managed to heal herself the rest of her pack was killed by the hunters, she had to learn how to hunt and things like that all by herself, she grew stronger and tougher, she birthed five pups. she would let only the wolves she trusted join her pack. She only trusted her pack, will this pack have the same fate her parents did or will Nebula be able to stay strong enough and manage this. personality~ Nebula is a very confusing wolf, she is persuasive, she is loveable and likeable and treated with respect, she has a strict side though, she can be very mean and snap at people when she means business, but when she puts her mind to it, theirs no going back. Characteristics~ Nebula is a very beautiful multi colored light brown pelted she wolf. she has a very unique color pattern and fur shape for it goes off to the side of her face on her cheeks. she has a dark diamond like shape on her belly. she is actually still small but feisty. She has a semi large scar across her right eye and a newer yet large scar on her left side. Siblings~ was oddly the only pup birthed in the litter. Strengths~ persuasiveness, the strictness and niceness, her mean and nice side. History~ IzzI was an unusual pup, unlike other pups, she was always alone and shun herself away from everyone else. By the time she was a teen, her social skills were zip, and she rarely spoke. Some time later an earthquake took the lives of much of her pack, only she and her sister Hanna survived. They took refuge in the mountains, hoping they would be safe there. But boy were they wrong, Hunters tracked them down and killed IzzI's sister. IzzI only just made it out with a scar across her left eye. She hasn't spoken a word since. personality~ IzzI is quite a cautious wolf, it takes a long time for her to trust someone. IzzI doesn't get angry often, but when she does she is quite scary. Characteristics~ IzzI is an albino, but instead of the normal golden eyes, she has blood red eyes and she has a scar on her left eye. Strengths~ Quick witted, agility, strong jaw. History~ Was almost killed by hunters but her Father and Mother defended her and her Siblings. Now she is almost scared of everything. History: Asteria descends from a large pack of Vancouver Island wolves, and all she remembers are the names of Greek gods and goddesses of the members of the pack. Her history is quiet mysterious and unknown, having been left alone as a young pup. An older wolf by the name of Unasante discovered her after her parents were killed. Unasante took Asteria in and raised her as her own. The only memory Astrria has left of her pack is a vague image of battling wolves. Everything she knows is from Unastante. Personality: She is a quiet and strong wolf, not showing much emotion. Tending to isolate herself, she doesn't interact much with others unless its completely necessary and quite often a hunts on her own. Although she may seem cold hearted, she has a caring and respectful disposition. Characteristics: a large black wolf with large pointed era and piercing emerald eyes, said to look into the being of other wolves. Fur colour: Almost solid black with white, grey and silver streaks around her face and tail. Strengths: excellent hunter and extremely cautious. She constantly remains aware of her surroundings. Weaknesses: her isolation tends deter other wolves, thinking she may not be the friendly type. She also Hayes asking for help. Secrets: The past of her pack, told to her by Unasante. History~ Her old pack died when she was a pup. The hunters killed them all. I was the only one that i know of who escaped. She was on her own as a pup until she found this pup. Personality~ She stays to self most of the time. She is Shy due to her not knowing many people throughout her life. Nice, Kind, Very loyal, protective ,And very caring. Characteristic~ She is a medium sized black wolf. With gold eyes that shine in the dark. Strengths~ She is very protective of here pack. Weaknesses~ The protection of here fellow pack members. 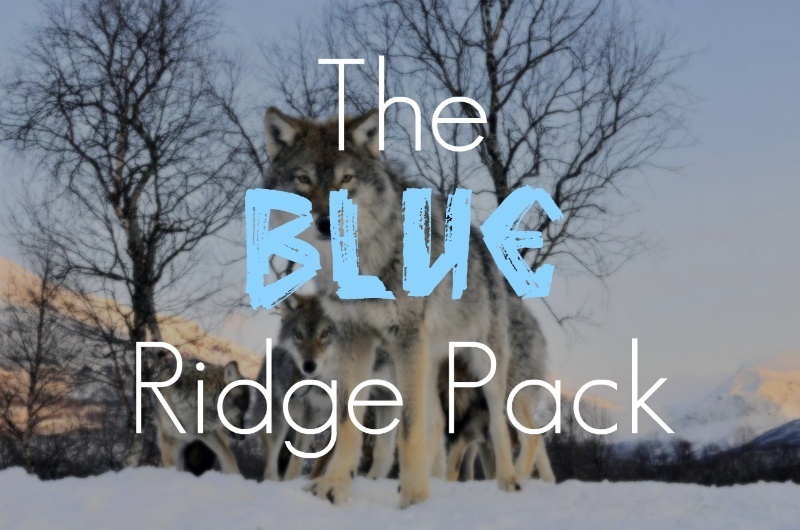 Secrets~ Her past about her old pack. History: Torn from her packs side by a single misunderstanding, Karma hasn't made a lot of good decisions in her life. she tends not to talk about the traumatic goings on and keeps them hidden. personality: She's quite a strong character, challenging against those who choose to defy her choices and all in all quite a violent soul. She does have a softened side to her split personality, the trouble is it doesn't normally show past her boundaries. Characteristics: her physique is slender with quite long legs from her shoulders and haunches. Her eyes are a piercing topaz and the layers of her pelt quite thin yet well nourished. Parents: Father (deceased) Mother (deceased) as far as she knows. Siblings: Her litter consisted of only her. Fur color: Her base coat is a raw wheat tone, Primary coat is a softened tan, Secondary coat has tones of fallow in and the top layer of her pelting is a raw umber. weaknesses: She has very little weaknesses, a main one being water. secrets: A lot of things. History~ Youngest wolf in her litter, Monkey often let her siblings pick on her because she knew that even if they disliked her, she would be able to leave them one day. In the next few months her parents became weak and could not fend for themselves much longer because they could not find and hunt for food. She woke up one day to find her siblings weeping and she looked up to see that her parents had passed away during the night. She recently left her siblings behind to join a new pack because the siblings decided to form a pack where she was not aloud. personality~ Quite shy at first but if you get to know her better than maybe she will open up to you. Often unsure I what she does is okay or correct. Characteristics~ Larger than the average breed. Cannot run fast due to how short her legs are. Siblings~ Three older siblings, two females and one male. secrets~ Should I share my secrets then they'd no longer be secrets. personality~fun caring and sassy though listens and follows orders when told. Characteristics~ very lean wolf with long legs great for sprinting and catching up to the prey, or whatever is being chased down.